New Delhi: Brad Meltzer, who is known for his Justice League of America comic book series, is all set to present his new graphic novel titled I Am Gandhi: A Graphic Biography of a Hero. The novel, published by Dial Books, will release in May 2018, has been written by Meltzer and illustrated by about two-dozen top artists. 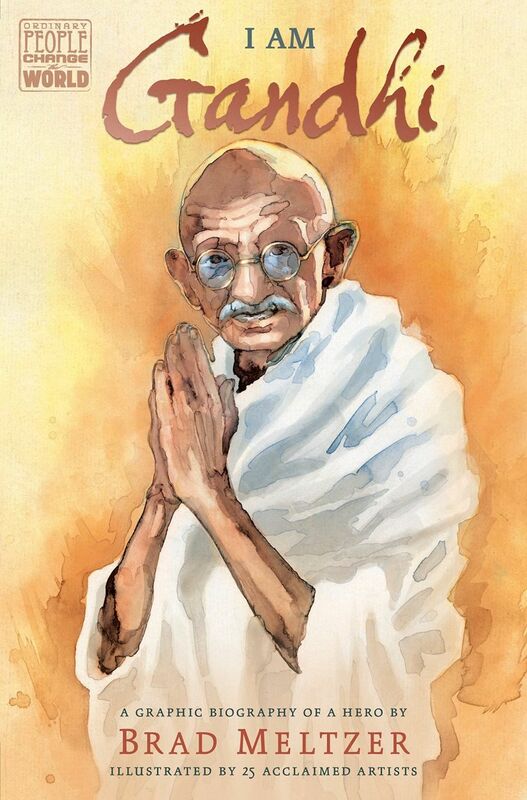 Meltzer had been working on his children’s book I Am Gandhi, which was published in October, to help students learn about the Indian human-rights icon. Right then, he knew he needed to make it a graphic novel, so he reached out to artists Gene Ha, Rags Morales and Bryan Hitch, with whom he’d worked on DC comic books. He also found support from such industry figures as Dan DiDio, Brian Michael Bendis, Marc Andreyko and Tom Brevoort. The artists donating their talent at no cost include luminaries such as Amanda Conner, Siddharth Kotian and David Marquez, as well as March‘s Nate Powell. All royalties from the book will go to Seeds of Peace, a nonprofit group that seeks to cultivate future global leaders.